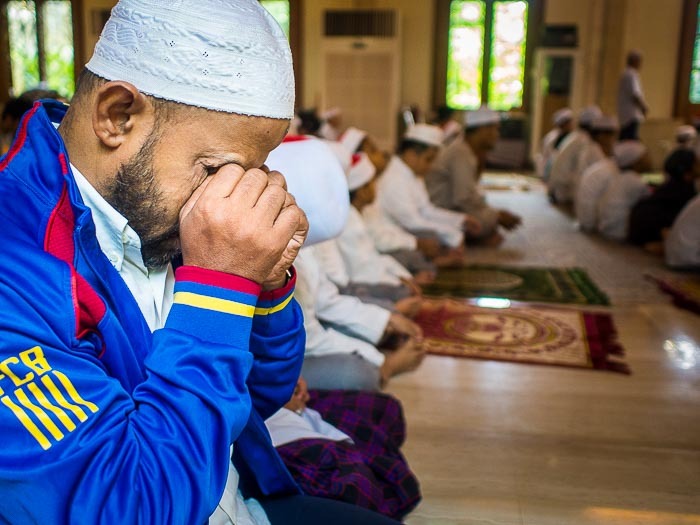 A man prays in Ton Son Mosque in Bangkok. It's the oldest established mosque in Bangkok. According to a new Pew Research Center survey, Islam is the fastest growing religion in the world. When people think of Islam they usually associate it with the Middle East. Islam was born in the Arab world, but it's become a global religion. 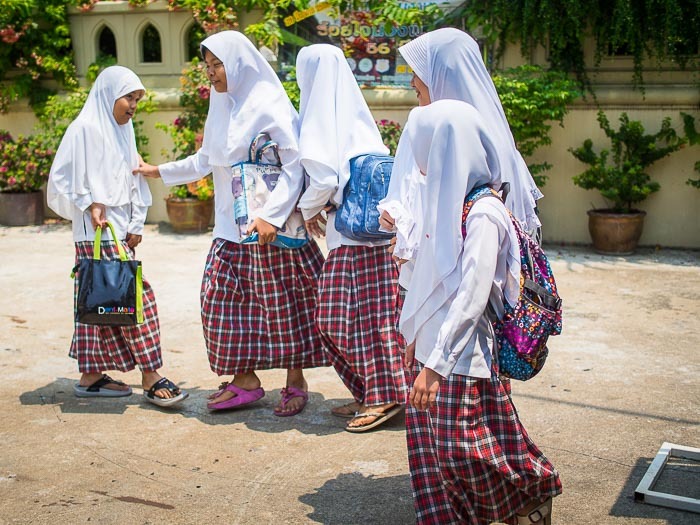 More Muslims live in Southeast Asia than the Middle East. Indonesia is the most populous Muslim nation in the world and India, typically thought of as a Hindu nation, is the second most populous. More Muslims live in four countries in South and Southeast Asia (Indonesia, India, Pakistan and Bangladesh) than the rest of the world combined. 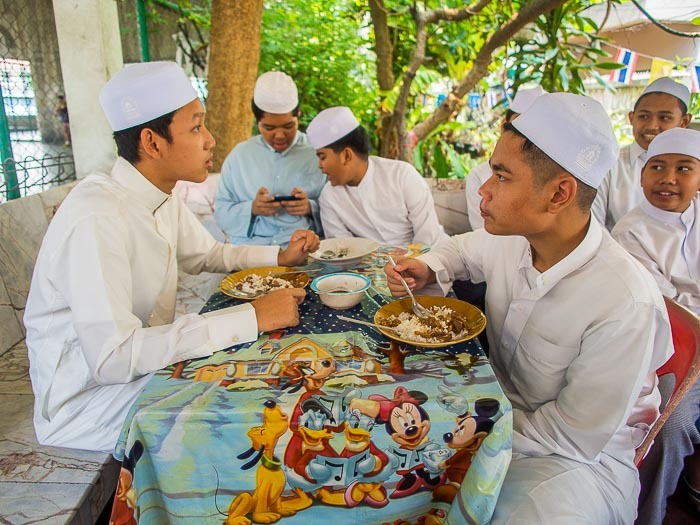 Muslim teenagers eat lunch at a street food stand near Masjid Ton Son (Masjid is the Thai word for Mosque) in the Thonburi section of Bangkok. Girls walk into Masjid Ton Son before Friday prayers. Thailand, a Buddhist country, has a large Muslim community. The "deep south" provinces, which neighbor Malaysia (also a Muslim majority nation) have a Muslim majority and ethnically closer to Malaysians than Thais. Thai census figures put Thai Muslims at about 5% of the population, but that seems low to me. I've traveled throughout Thailand and I meet Muslims everywhere I go, from the Muslim majority deep south to the northern borders with Laos and Myanmar. Bangkok has a large Muslim minority population, there are Muslim neighborhoods scattered throughout the city but concentrated along the river and Khlong Saen Saeb. 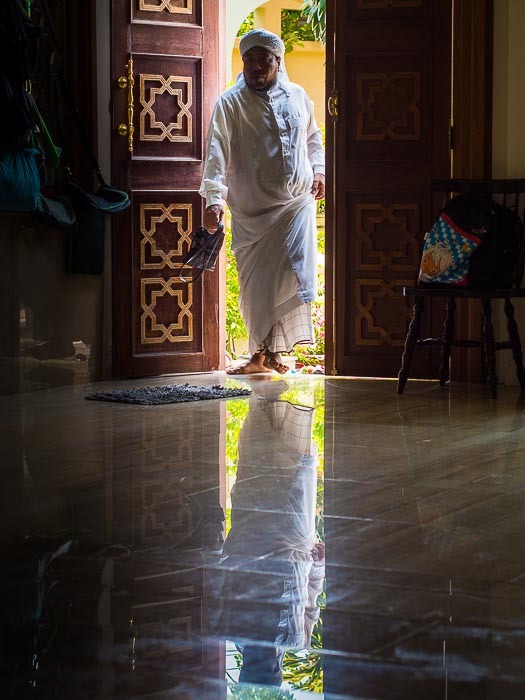 A man performs ablutions before going into Masjid Ton Son for Friday prayers. I made these pictures in and around Masjid Ton Son during Friday prayers as a part of a personal project I'm working on about spirituality in Thailand. At a time when there's a lot of mistrust and suspicion between Muslim and Christians around the world, I've never been treated as anything than a honored guest at every mosque and Muslim event I've photographed. Whether it was Ramadan services in southern Thailand, Eid in Phoenix, Friday prayers almost anywhere, or Iftar (the meal that breaks the Ramadan fast), I have been welcomed to photograph and socialize with no more restrictions than I would have in a Christian church or Buddhist temple. A man walks into Masjid Ton Son before prayers. Established in the 1680s before Bangkok existed, it was the first mosque established in what is now Bangkok. The original teak building burned down decades ago, the current building is a modern (and air conditioned) prayer hall but the history is nearby. The mosque's cemetery has graves that are more than 300 years old. There are more photos from Masjid Ton Son in my archive or available from ZUMA Press.